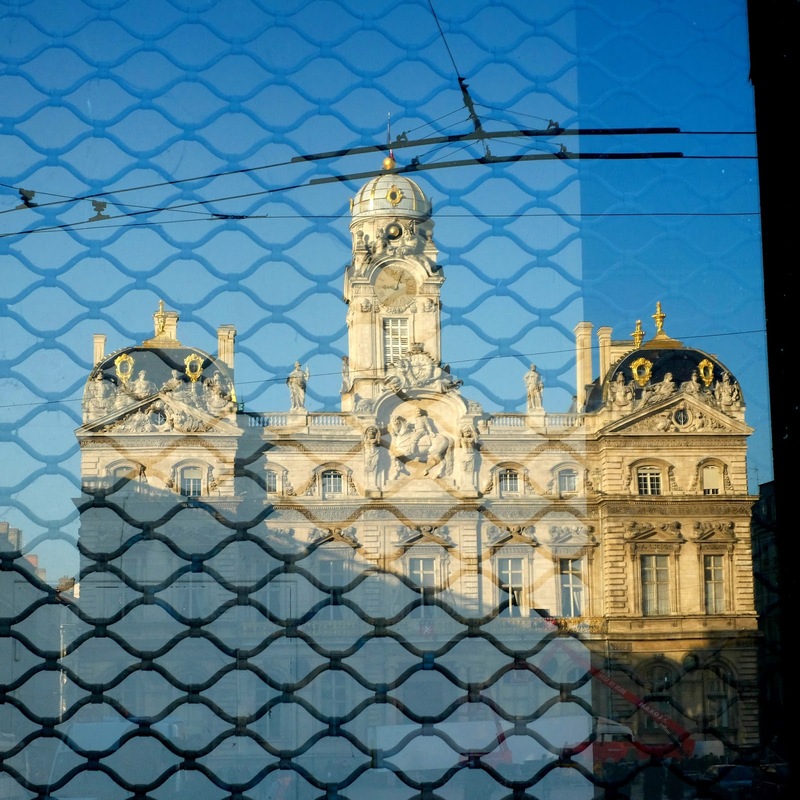 This is Lyon's city hall building reflected in a shop window in Place des Terreaux. The shop was closed as you might have guessed because of the gate pulled down behind the glass. 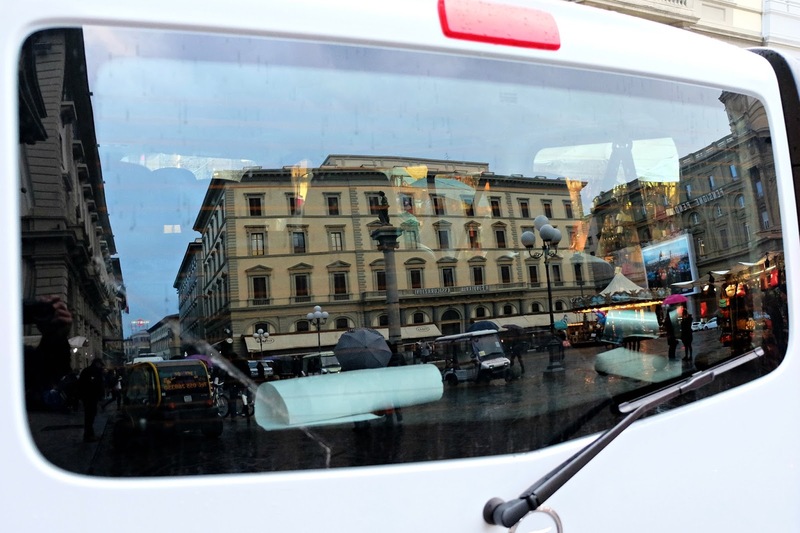 Lyon is a fun and beautiful city. I'd love to go back someday.